Explore our growing video and audio library! Catch up on study with the latest sermons! Current and recent series, including Romans, Esther, Back to the Basics and Revelation, are available to watch online or listen via MP3 and podcast. Past series on Next Steps in Following Jesus, Hebrews, Galatians, John, Mark, Daniel, Ruth (and more!) are also available. 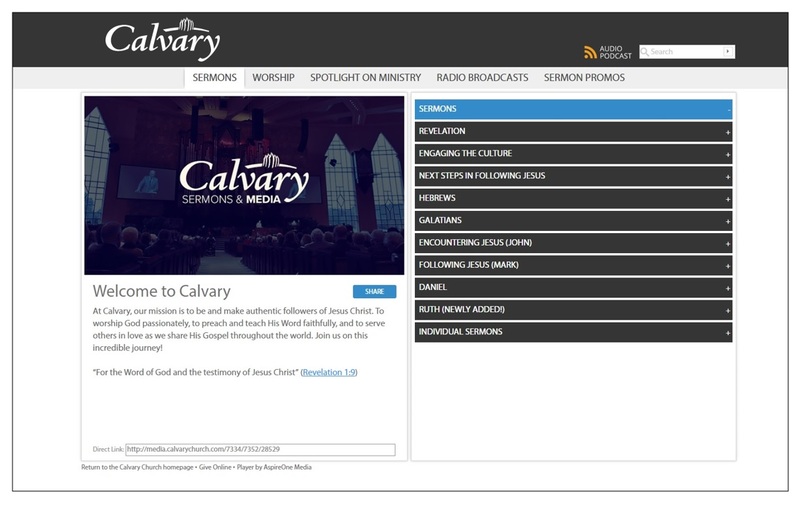 Want to learn more about Calvary? Hear from all ages in our Ministry Videos that profile our student and children's ministries, our adult life groups, and some of our outreach programs. Pastor Munro is featured daily in "The Verdict" on WHVN 1240AM / 104.3FM at 7:30 AM/4:30 PM (M-F), Saturdays at 8:00 AM and Sundays at 12:00 Noon. The Verdict is also broadcast in Raleigh on WPJL at 7:30 AM (M-F), 10:30 AM Saturdays and 10:00 AM Sundays. We archive programs for anyone who might like to listen or catch up! Looking for the most recent sermon jam? These are cool and unique sermon trailers that present highlights from Pastor Munro's recent messages. If it's been a while since you visited, check back on a regular basis! We're always adding new assets, and we'd love for you to use them in your personal worship and study AND share them with friends.